MAUREEN McKiernan loved three things: she loved life, she loved her family and she loved her community. And that love of her community lives on triumphantly through her family as together they have raised a stunning total of £7,760 which they are donating to various charities and organisations in West and North Belfast. Maureen was married to her beloved husband Danny for 59 years and together they had twelve children: Danny, Paul, Gerard, Sean, Maura, Sharon, Martin, Colm, Kevin, Geraldine, Eamonn and Jean. She passed away peacefully surrounded by them all on October 1 2016. She was 79. 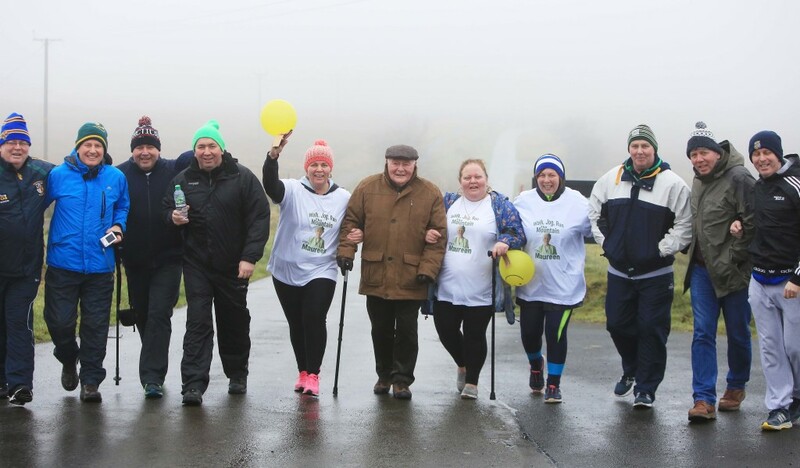 On February 19, Maureen’s family and friends did a sponsored walk on the Black Mountain to raise funds in her memory. Speaking to the Andersonstown News, her daughters Jean and Maura said: “Our mummy always gave to charities and we know she would have been very proud of us for doing this. 200 people showed up to take part in the walk, we were overwhelmed. The money raised will be divided between several charities and there will also be two defibrillators put in prime spots in West Belfast. As well as this the Children’s Hospice in O’Neill Road Newtownabbey will receive £3,610, the Kevin Bell Repatriation Trust will receive £500, Trust Belfast (Homeless) will get £250 as will Kids Together and Mental Health charity Tamie, based in North Belfast. Out of the money raised the family have also purchased a medical chair for Doctor Clare Crossin’s surgery on the Glen Road. As well as the walk the family also sold a number of ballots with prizes donated from various businesses in the area. Maura said: “People are so generous, we could have sold those ballots ten times over. The prizes that were donated were unbelievable and we want to thank all the businesses who donated. We also want to thank the PD, TK1 for providing the buffet and Micky Porter of the PD for drawing the ballot.